Today I am sharing a simple Roman pasta dish, Cacio e Pepe, made with a handful a few ingredients. 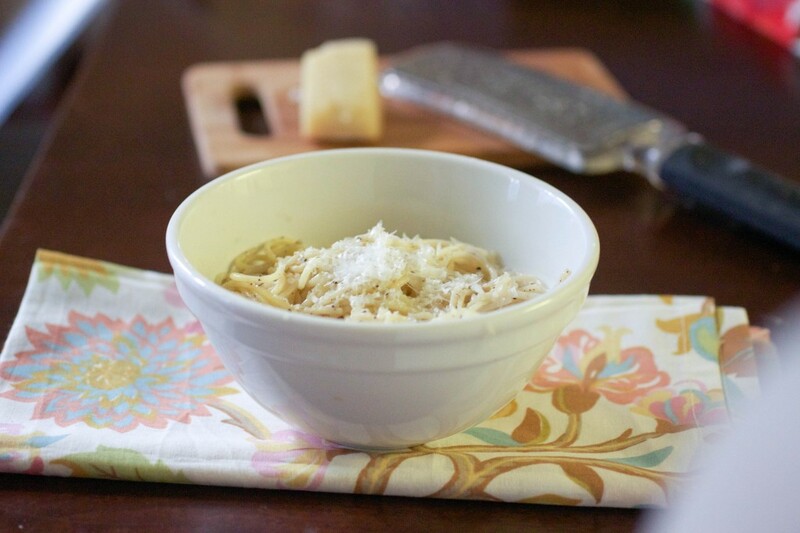 If you grew up enjoying a bowl of buttered noodles this is a grown up version. The spice comes from cooking black pepper in the hot butter. Pasta is a comfort food. I find myself in the midst of many transitions and crossroads. With it comes endings and new beginnings. Life is like that good and bad, sweet and sour. Once in awhile I crave a little comfort food. Cacio de Pepe is one of them, because it is so easy to make with things already sitting on your shelves. Because there are only a few ingredients make sure to use the best you can. Freshly ground pepper and freshly grated grated cheese. Remember to save 1 cup of the pasta water when you drain it. I used Grana Padano but Parmesan would be just fine.